Remote temperature sensors are used for monitoring, recording and generating alerts in any industry which has operations involving temperature controlled environment. Remote temperature sensors are a special type of temperature sensors that can be operated in a wireless mode. Remote temperature sensors are simple yet powerful tools that offer an efficient way to monitor the temperature and humidity of the surroundings. Monitoring the temperature is very important in many industries and applications such as pharmaceutical, healthcare, food, logistics etc. As temperature values have a significant influence on certain processes like food processing, controlling the temperature of servers in data centers, shipping and logistics of temperature sensitive goods. Temperature sensors are usually not complex and are cheap. They display the temperature value in standard scales like Fahrenheit and Celsius. We are the leading supplier of various remote temperature sensors that operate in any one of the following modes. A discrete threshold monitoring (Digital) where users can set limits for acceptable temperature values. The sensor would trigger an alarm if the actual temperature goes beyond the specified values. Analog temperature sensors provide real time monitoring of the actual temperature of the location where it is installed. A +12V power is the normally required power range for most of the temperature sensors. They can be powered using a normal commercial power line with DC adapter or using industry practices like Remote Terminal units. Some temperature sensors may also come packed with extra features that enable it to monitor humidity levels, carbon-dioxide (CO2), oxygen, differential air pressure, particle count and motion in the surrounding area where they are installed. 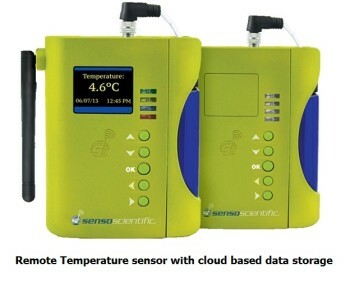 Temperature sensors make use of a data logger to store and provide comprehensive information on the temperature data under various conditions. Some of the popular applications of temperature sensors are explained below. 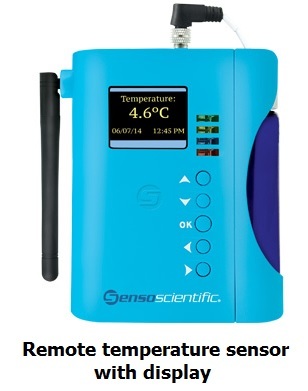 How to monitor the temperature of your warehouse using Remote temperature sensor? Warehouses are the storage areas where goods and shipments of various kinds are stor ed. These areas need to be thermally controlled as goods stored may demand specific temperature conditions. Warehouses are subjective to the frequent movement of employees and vehicles. Hence they are prone to changes in temperature.Our sensors record the heating and cooling events continuously to safeguard that stored goods do not get damaged. Remote temperature sensors for monitoring warehouses do this job efficiently in a cost effective manner. 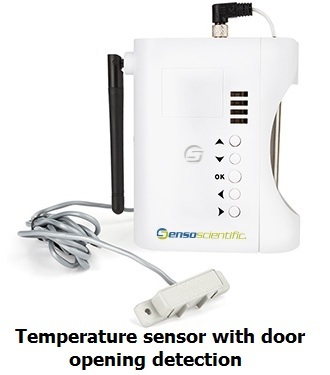 How to record and monitor the temperature of a cold room using Remote temperature sensor? We employ these to make note of door open and close events and the associated temperature differences to maintain the cold rooms in a controlled manner. The cold rooms for storing medicines especially are very sensitive which operate in a narrow range of 2 and 8°C. Hence the monitoring system has to constantly check whether the temperature is crossing the upper or lower limits. They can give alerts when a door is left open for a certain period of time. Also since the range is narrow, the sensor has to be of high accuracy. How to protect data center and server rooms with Remote temperature sensor? Server rooms and data centers may emit heat in large amounts. If the rooms do not have a proper cooling system, the equipment will get damaged soon and the performance will also get lower. And to see whether the cooling systems work properly, having good temperature sensors are very important. We have to place the sensors in various critical points such as different racks, around the room etc. Installing sensors for a rack level along with ambient and air conditioning monitoring are a good practice for maintaining a healthy server room. These help the manufacturers in securing food safety by helping them maintain the appropriate temperature levels throughout the food processing process. It also allows manufacturers to make their food production process for satisfying the HACCP requirements. HACCP stands for Hazard Analysis Critical Control Point system that puts forth strict food safety rules that are internationally recognized. Such sensors take care of the heat-sensitive goods like perishable food, medicines, vaccines, chemicals, fruits, vegetables, electronic components etc. during transport. With the help of exception reporting, alerts, event notification, current temperature display and in-vehicle printouts, remote temperature sensors can provide a complete solution for controlling, monitoring and recording the temperature of goods during transport. 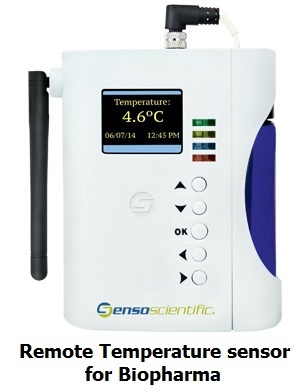 How to monitor and record temperature of medical Refrigerator using Remote temperature sensor? These sensors monitor the temperature of the refrigerator and keep a check that the temperature is optimized as per the requirements. They can monitor temperatures as low as -100 degree Celsius for Cryo Freezers. 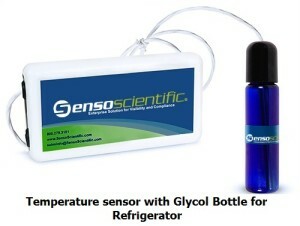 The sensor will be generally inserted into a Glycol bottle. Thus sudden fluctuations during door openings will not be recorded as an alert. In addition, they also keep a check on other essential factors like door opening & humidity. Such sensors can also alert the user if the refrigerator door is open for a duration longer than programmed duration. 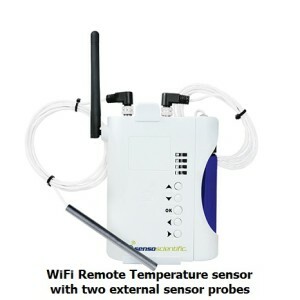 Remote temperature sensors that use Wi-Fi offer a comprehensive environmental monitorin g that can be used in combination with the help of local PCs, mobile devices and Cloud computing. The use of Wi-Fi as the connection medium eliminated the need for additional hardware for integration thereby reducing costs. They also enable placing of the sensors in a wide range of locations that may not be reachable using conventional methods. We can interconnect multiple sensors with existing networks to provide efficient data logging. It also sends alerts and notifications directly to the connected devices. User can access the data via internet or intranet in a secured way. The entire system is compliant with safety standards like FDA code and 21 CFR part 11. Wireless connectivity enables accumulation of temperature data at a single central server. Thus information is made available all the time online thus aiding efficient analysis of the data. Alerts and notifications by the remote sensors allow you to take actions at the right time. Efficient data logging enables easy reporting and tracking of each and every item. Helps in achieving safety standards like HACCP, BRS, IFS and ISO. 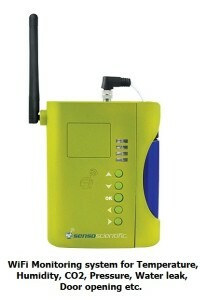 The user can easily integrate the sensors with existing systems. We offer an advanced temperature monitoring and sensing solution that is complete in all respects. Customers need not worry about associated software, maintenance and external server issues. Our products are available in the widest ranges of sensors from monitoring temperature and humidity, Wifi sensor and data loggers. WE supply products meeting the regulatory compliances of hospitals, life sciences and other critical environmental safety standards of each country. We offer a web based embedded wireless system that reduces your hardware and maintenance costs considerably. Our products have a wide application scope and have been designed to meet the specific needs of any industry. Some of the industries that can be served with our monitoring systems are as below. 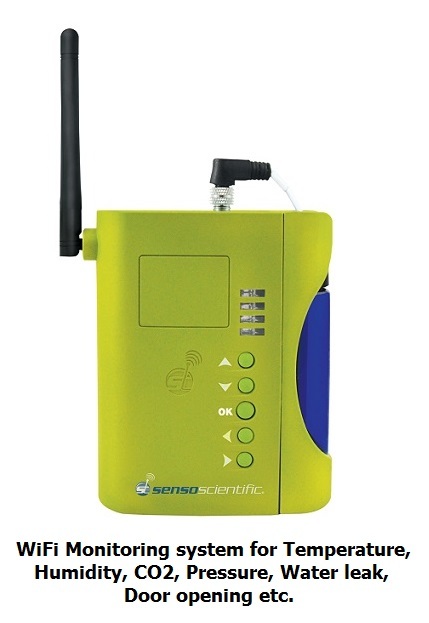 Laboratory sensors are tailored to meet the monitoring requirements of a lab environment. 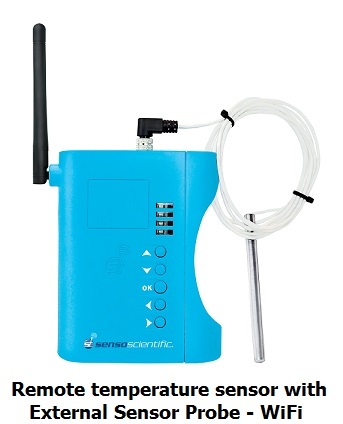 These sensors effectively and accurately sense temperature, CO2 levels and humidity which are the major operational parameters for monitoring samples and test results. The systems under this category are some of the efficient temperature monitoring solutions available for stand-alone restaurants, schools, C- stores and grocery markets. They help you increase the life span of perishable items and save you so much of effort and money. A total cold chain management in transit is provided by our innovative transportation temperature monitoring system. With this system in hand, you can effectively track the quality of your products during the entire trip and have instant temperature reports. 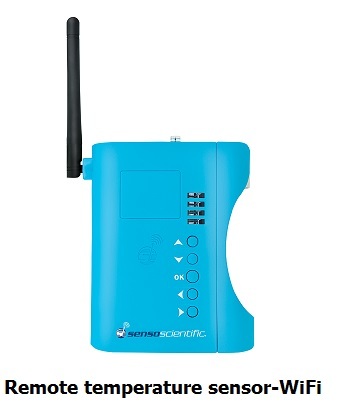 It gives you real time monitoring with the help of GSM mobile network. Contact switch for connecting a strobe, siren etc. Alert and corrective action history. The sensors are available in a wide range and require only little to no training for use. They have an easy calibration and ergonomics designs that enable you to easily grasp its working. Employing these sensors helps you achieve higher ROI with less cost on labor, energy and power. 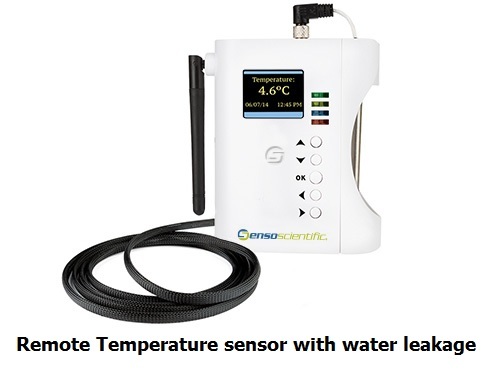 We also offer sensors that are specialised in monitoring the following parameters. We present an ultimate solution that helps you meet all your HACCP (Hazard Analysis and Critical Control Points) requirements. HACCP compliance is highly revered and is a must have requirement for food industry. 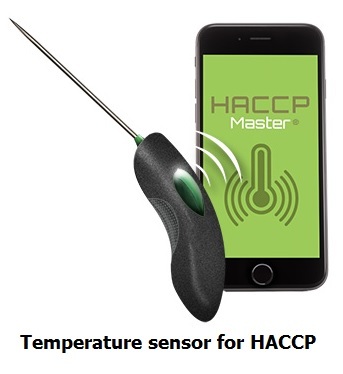 HACCP Master helps you to achieve it by providing an efficient means for reporting, analyzing and storing temperature data. The temperature probe of this device can be connected to your Apple devices with an iOS application. It simplifies the process of temperature recording and transfers all related information to HACCP manager cloud storage. 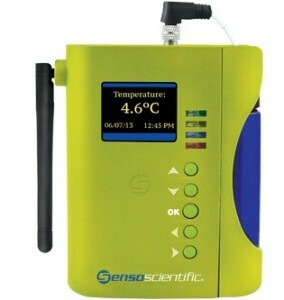 Store, analyse and report HACCP temperatures. iOS application with an interactive and intuitive interface.